Just wanted to ask about the state of the current donations. Tested it out with a donation of 10€. 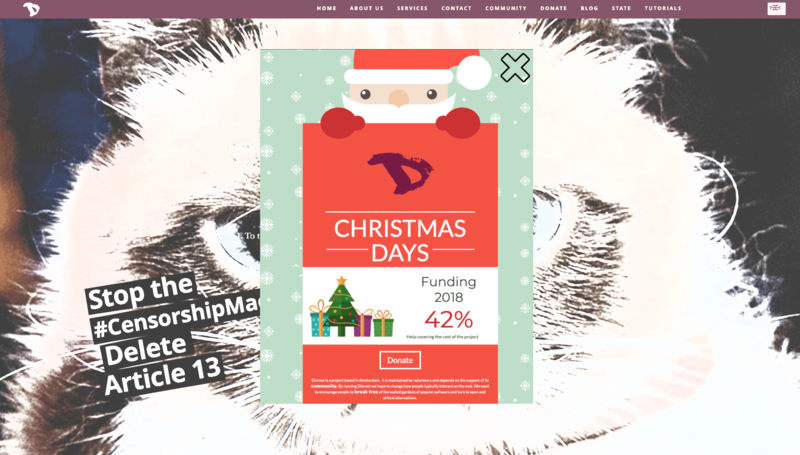 May I suggest a Christmas/Holidays "newsletter" greetings (state of the project) with a nice reminder about donating? Because if I do not use some sort of reminder or auto donate feature I forget about it. I attached the html source in the link above. Feel free to use it! 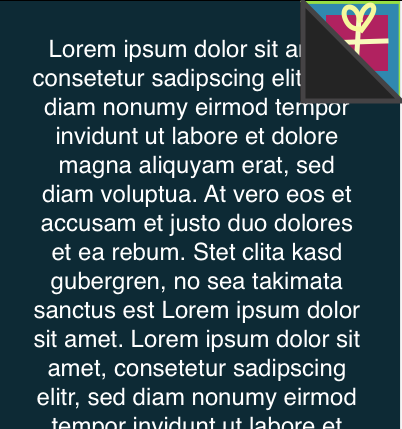 I need to add, this is an html mail example, if you want to use it as iframe only, you can cut source code out. maybe instead of an email reminder do iframe reminders on disroot pages. With a 1 click "I already donated" button to close it and only be reminded after a period of time passed again. You can see the current overview on https://disroot.org/en/donate Its pretty up to date and we are updating the overview on monthly basis. I think Antilopa is planning on update of overview upcoming week. As for the banner on the website. I like the idea. We are not big fans of "donation begging" but we know this is actually working best and we have decided to do more of it upcoming year. The idea for 'end year' donation round is a good start. Thank you for the in dept explanation. I read the report of last year. Informative and well written. I do not think it is donation begging. I am asking you to remind me to donate, because I forget it all the time. If someone is against the "begging" just say idnovic wanted a reminder and you can not just display it to one person. feels free to use my template. In the readme is the original source. Apache 2 licensed. I dunno about the license of the used images. But reverse image search should clarify that. Yeah we know. And we start learning that. It's indeed not real begging as we need that money not only to keep the servers running but also invest in better hardware not to mention the fact we are at the stage where Disroot takes over not only our free time anymore. We do want to avoid "asking for donations" on every single place as it might have opposite effect where people get annoyed about it (wikipedia for example). But at the same time just like you, people like to be reminded that things arent free and its good to donate to project you use on daily basis. This is one of the reasons we have reworked the donation page where you can see on monthly basis all the incomes and costs as well as how many poeple currently donate to disroot and how many people did in the past. We do have to think of "advertising" that page in more places so people actually check it and realize how little poeple keep the entire project on their shoulders. about wikipedia, I mean I get traffic and hardware cost much but wikipedia is hoarding money if you ask me. And they use a "first I load the page, wait 1 second, the user starts reading stuff, now while the user is reading lets move the view downwards so the users needs to interact with the donation thing to be able to read again, ohhh sh*t where did the text go I think I was in that paragraph..."
Does not hinder the user using the page and it is viewable.